After the Civil War, Remington revolutionized firearm ammunition with a cartridge conversion of its Model 1858 Army, in 1869. 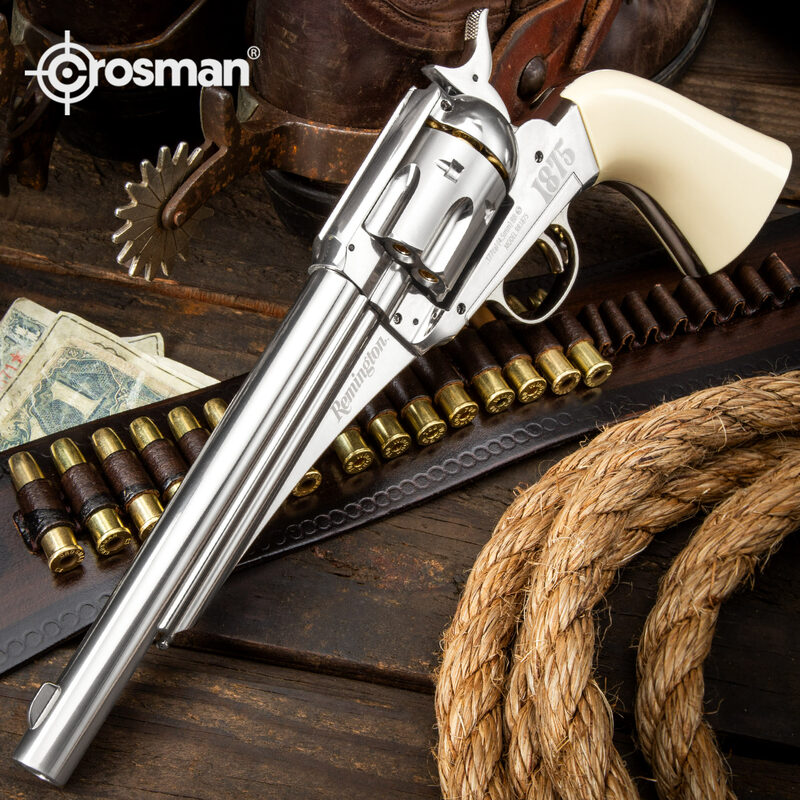 The metallic cartridge-loading revolver was soon bested by Smith & Wesson’s new top-break model, in 1872 and Colt’s Peacemaker, in 1873. Two years later E. Remington & Sons came blazing back with the new Model 1875; it was to become one of the most famous guns of the Old West. 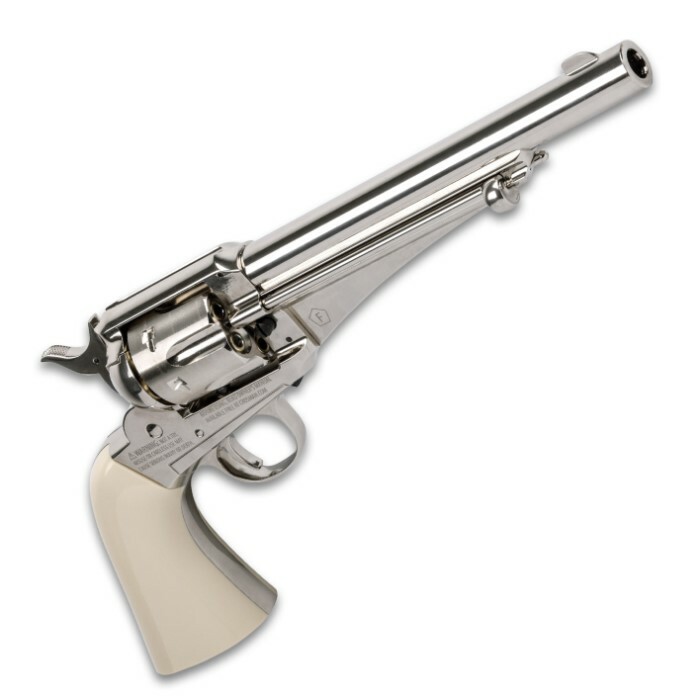 This six-gun is now available as a .177 BB/pellet CO2 revolver. 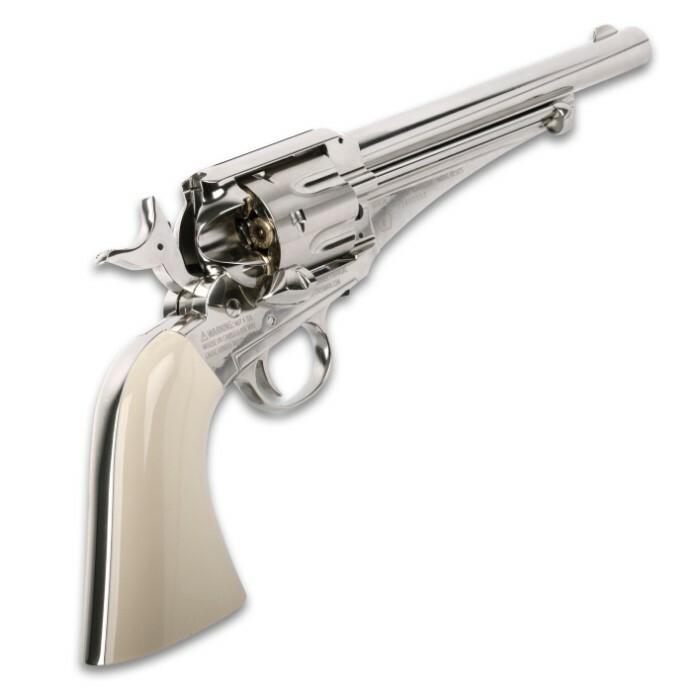 This nickel-plated, all-metal replica bears the Remington name and the classic lines that made it popular with cowboys, lawmen and outlaws alike. 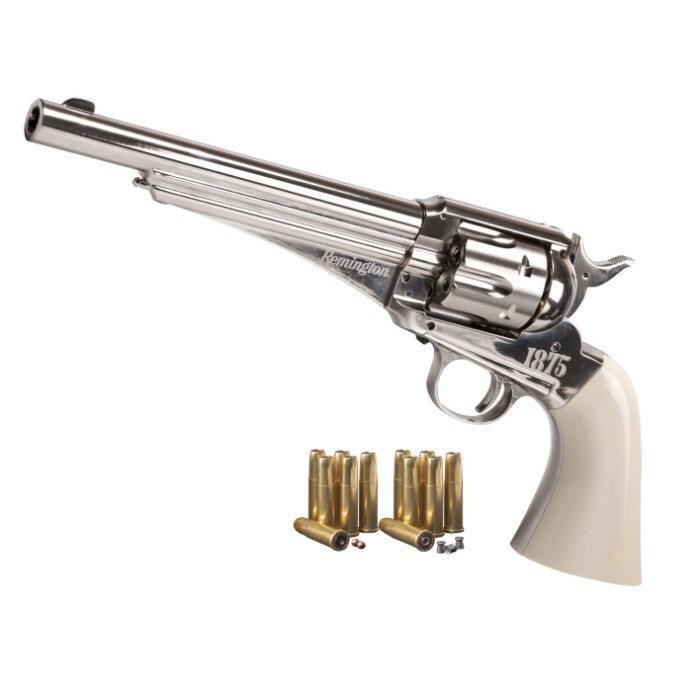 It loads like a real single action revolver with each BB or pellet cartridge inserted separately into the cylinder chambers through the loading gate on the right side of the frame. 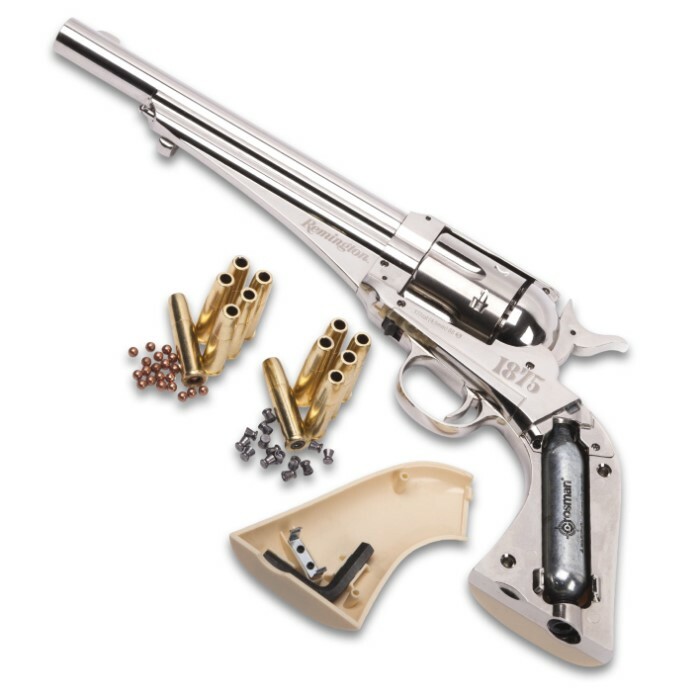 Once you’re fully loaded, this gun is excellent for plinking cans and paper targets in your backyard. I got this and the Berretta they are both awesome in look and detail very high quaility hard to tell from the real thing you would be proud to own either of them .